Inspection charts such as these plot the geometric variance normal to a gear tooth’s involute curve on the horizontal axis. The vertical axis is a plot of the position along the involute curve. Knowing this, one can see that neither chart depicts a perfect involute, which would be a vertical line. The charts both show similar error, which is a “leaning” deviation from the involute curve. Figure 1 shows a positive condition towards the top of the chart, meaning the tooth has more material than it should at its tip. For a hobbed part, this most likely indicates two potential sources of error: poor hob sharpening or improper hob head swivel angle. To address the former source of error, one must check the geometric quality of tool sharpening. In particular, the rake angle of the tool must meet the necessary quality standards. 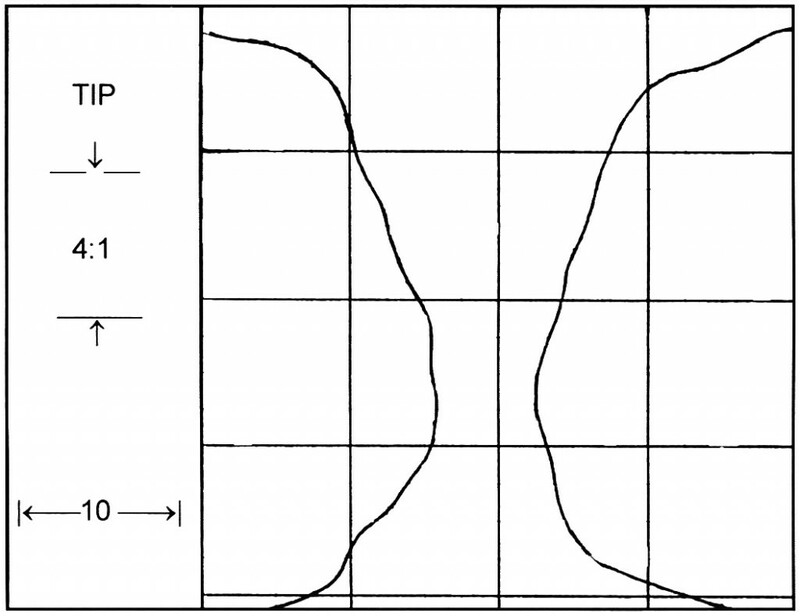 A positive rake error condition of the hob will result in a positive condition of the gear tooth’s involute profile, which is the case in Figure 1. Secondly, the hob head swivel angle must be correctly set. In the case of repeated tooth tip profile error, a hobbing machine’s hob head alignment or scales may need correction. 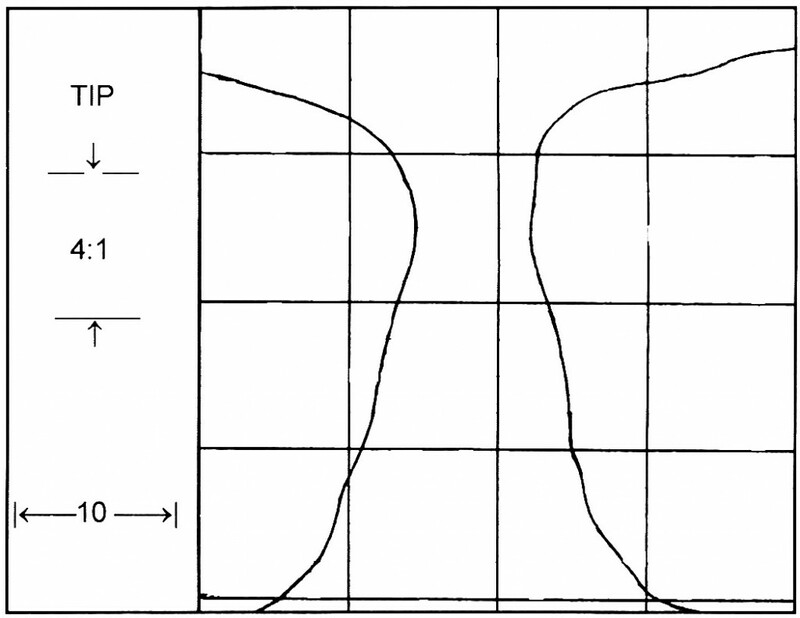 Figure 2 shows a negative tooth tip profile condition, which actually suggests the tooth has more material than it should at its base. Similar to the positive error condition, this condition has the same potential sources of error. Check to ensure correct position of the hob head swivel. Also, the rake angle of the hob may have been sharpened incorrectly. Check for negative rake angle conditions, which would produce this error. Figures 3 and 4 show the effects of rake error, which are also discussed in more detail in Issue 2, Hob Rake Error. Tooth tip profile error can be corrected with minimal effort. Inspect the cutter for proper rake angle. 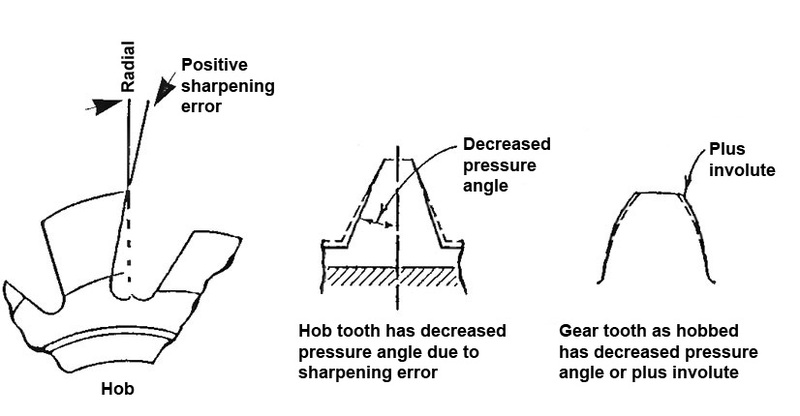 If rake does not meet the hob’s quality classification then check the sharpening process. Lastly, always check for correct hob head swivel angle.